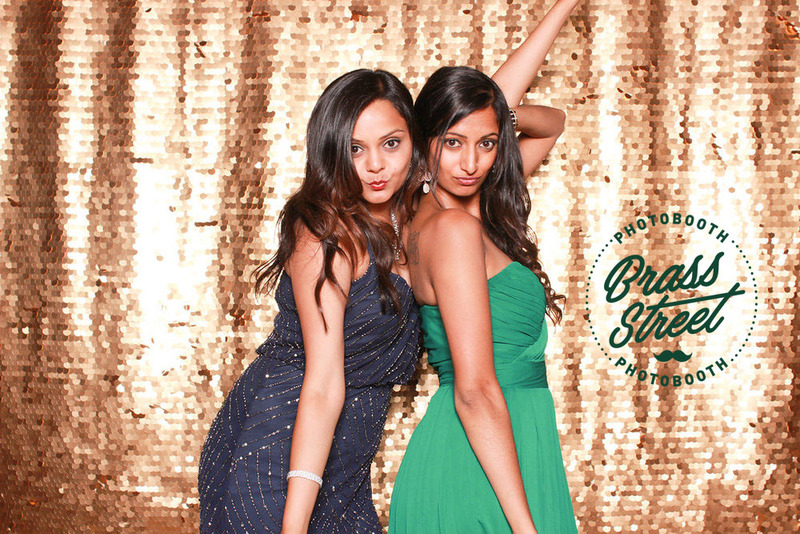 Brass Street Photobooth delivers an experience that will be the HEART of your next party. A modern Photobooth designed to elevate your event and give your guests something to remember it by. From small to large groups our photobooth lets you create memories effortlessly. Gone are the days of the two person photobooth. While very fun it was quite limiting. Our Brass Street Photobooth is an open air photobooth which means a LOT more people and a LOT more fun! Whole families, bridal parties, birthday party guests, and groups of co-workers can now join in and take sweet and silly photos. The more the merrier we say! Want a little splash of color? Looking for something fun? We have a large inventory of backdrops that will fit the theme of your party. From classic gold sequins to fun and funky stripes! We've got our back (drop). Want something different? Customized backdrops available. check out brass st Photo Booth new mermaid backdrop! Treat your guests with a print they can take home. Our printers are high quality and print out instantly. Your guests will leave with all their newly made memories. Drop us a line and let us know what we can help you with!